The map will be available on PS4 next Tuesday. Call of Duty Zombies fans have been given an in-depth look at the next map coming to Black Ops 4. Ancient Evil is the latest Zombies map set to be introduced to the Chaos storyline in Black Ops 4. It’ll become available on March 26, first on PlayStation 4. After posting multiple, short clips on Twitter earlier this week, Treyarch finally revealed the full trailer today. The trailer begins by highlighting previous events from the other Chaos storyline Zombies maps in Black Ops 4. Fans then got to briefly see the map’s setting and some of the new, unique zombies—it looks like there will be a new massive boss zombie in Ancient Evil, too. There’s even a giant pegasus that will seemingly play some role in helping players on their quest. Treyarch co-studio head Jason Blundell said on Feb. 18 that Ancient Evil will be set in Greece. 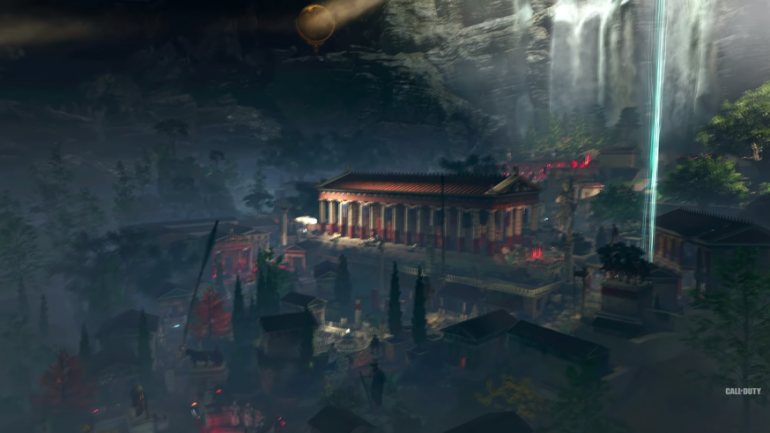 It’s also the last map in the Chaos storyline for “this season,” according to Blundell—so Ancient Evil will probably feature an epic season-ending Easter egg. PS4 players will finally get to try out Ancient Evil next Tuesday.